This brother-sister baby bubble pattern appears to be a 2 piece pattern, but is really one piece! Simple to make & comfortable to wear. 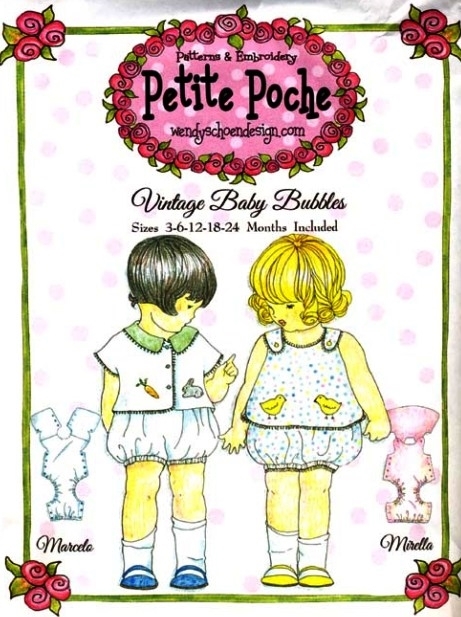 Pattern includes a boy version & baby girl version. Make it up in a myriad of fabrics.